Description: This is the reward for Club Nintendo Platinum members in 2010. 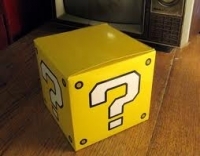 "The ultimate collector's item for Mario fans! 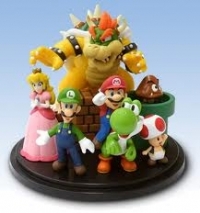 This collectible figurine features beloved characters from Super Mario games. It measures approx. 3.9 inches in height and 4.6 inches in diameter, and comes enclosed in decorative packaging." 09-05-2013 Limeface Description This is the reward for Club Nintendo Platinum members in 2010. "The ultimate collector's item for Mario fans! 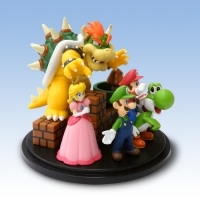 This collectible figurine features beloved characters from Super Mario games. It measures approx. 3.9 inches in height and 4.6 inches in diameter, and comes enclosed in decorative packaging." This is a list of VGCollect users who have 2010 Club Nintendo Platinum Member Reward - Super Mario Character Figurine in their Collection. This is a list of VGCollect users who have 2010 Club Nintendo Platinum Member Reward - Super Mario Character Figurine in their Sell List. This is a list of VGCollect users who have 2010 Club Nintendo Platinum Member Reward - Super Mario Character Figurine in their Wish List.